As I was walking down Polk St I saw some motion so I crossed the street and to my surprise there were what I thought 3 groundhog playing around this wheelbarrow. When I got home I put the pictures in my computer and to my surprise there in the wheelbarrow was a fourth baby. 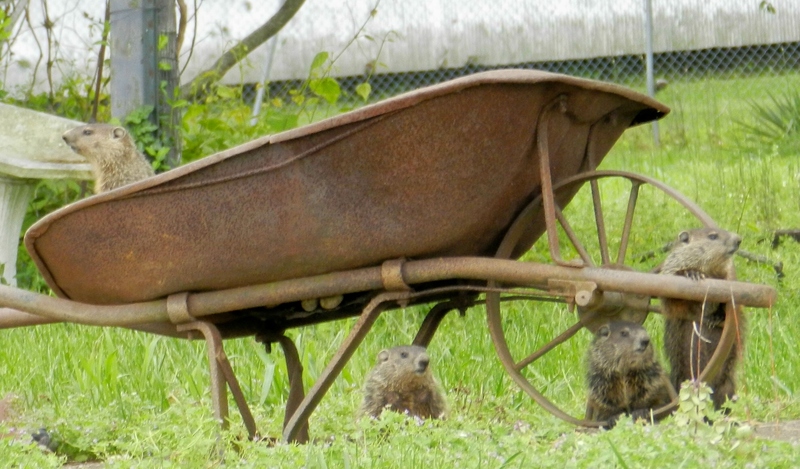 To me this was a “REAL GROUNDHOG DAY” I went everyday and have an amazing album of pictures.